Imagine you've got it made. You have it all: mansions, jets, Deponia 4, and when you pass the night in a hotel, naturally, it's in the Penthouse Suite. 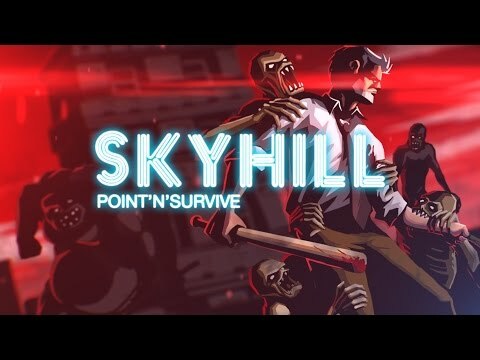 Skyhill Hotel's Penthouse Suite has it all as well, complete with a fully modern, biological safety system... which practically saves you in a fateful night from becoming the victim of a missile strike, that turns the rest of the city into a mutant apocalypse. In short: Of all your previous privileges only a single one remains: Survive. You assume the role of Perry, the possibly last human being trying everything to survive in the eponymous Skyhill Hotel. His major goal is to reach the ground floor of the 100-storey building and to survive this nightmare. He can only achieve this if he skilfully budgets food, medicine and other supplies, which he finds in the mutant-infested floors and rooms of Skyhill.